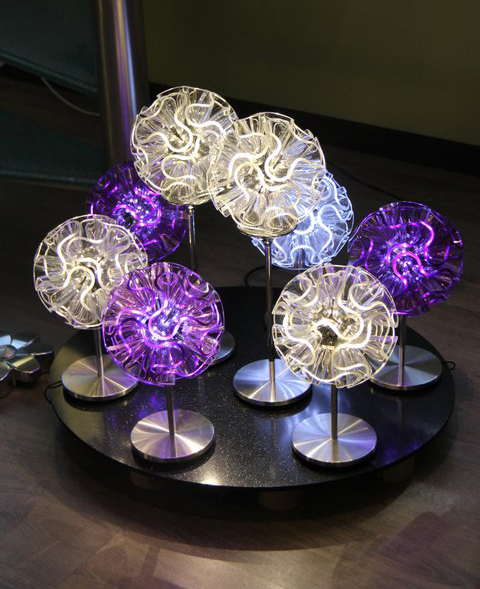 These cool Coral LED lamps by QisDesign are every bit as mesmerizing as their muse. These contemporary lamps are inspired by the way beams of light bounce off coral’s naturally twisting and turning shape in the water. The snaking diffusers evenly distribute light to create constant curls of illumination. Available in tabletop lamps, floor lamps and pendant lights, these lamps make a striking centerpiece when displayed in groups at staggered heights in your designer homes. Go monochromatic, or choose from a range of exotic colors like Gold, Orange, Red, Violet, Yellow/Green and Clear. More details are available at QisDesign. 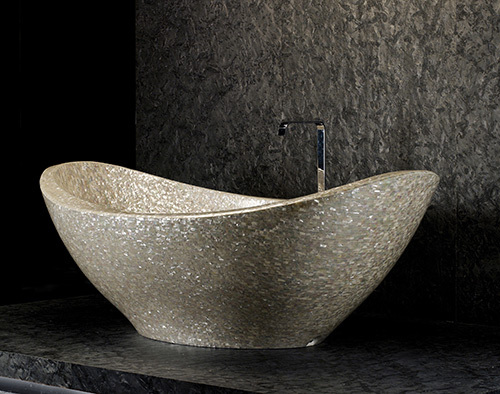 Mother of pearl, one of natures most marvelous finishes, is what defines the decor of the Shellstone Collection by Antolini Luigi. These handcrafted tiles come in large and small versions and in 12 iridescent shades. It’s almost unbelievable that these delicate shells, when put together in such a manner, can have such a strong visual impact and evoke a magical atmosphere in your beautiful homes. Light is reflected, nature is referenced, emotions are called forth – these are just really amazing little tiles. Find out more about the Shellstone Collection at Antolini Luigi, one of the leading distributors of dimensional stone and other home design products. 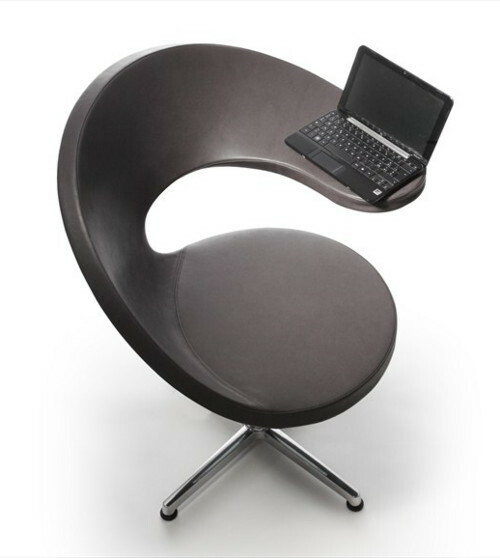 Italian company Rossin designed this cool netbook lounge armchair with modern technology in mind. The N@T armchair by German interior designer Martin Ballendat features an ultra-modern @-shaped silhouette; its seat, back and arm rest sweeping around in a smooth, single curve, and ending in a kind of desktop in glass, plywood or laminated to rest your netbook, a cocktail or a cup of coffee – depending on the room. We love this chair for the home office or library, as intended, but we think it makes an equally chic addition to any sitting room, the kitchen or living area in your designer homes. Apart from being super functional, this contemporary swivel chair looks @wesome! Check these new design ideas and other home decor products by visiting Rossin.